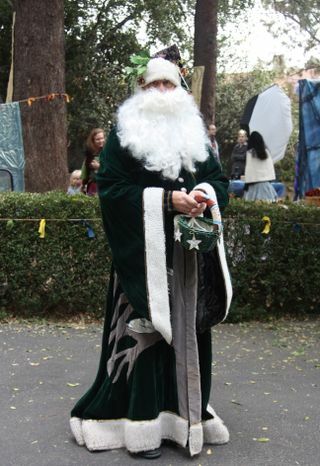 The Pasadena Waldorf School celebrated its annual Elves' Faire today, a family event that's part Ren faire, part hippie happening, all fun. Of course, Father Christmas was there. 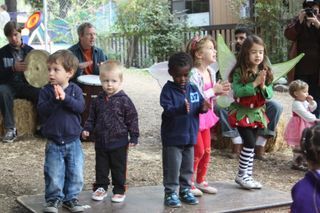 Kids clapped, drummed, and danced in the drum circle. 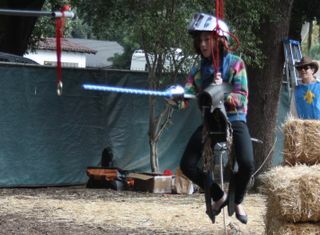 Aerial jousting? Why not? 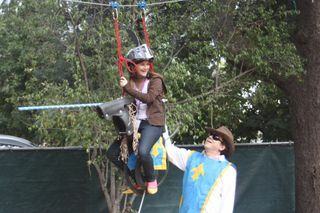 (Yes, that's John C. Reilly setting up the next flying knight). And this one almost gets the brass ring!